We’re gearing up for the Celiac Disease Foundation’s Gluten-Free Expo in Pasadena on June 7 and 8, 2014. This event is a great opportunity for gluten-free folk to learn the latest in healthy living, try different gluten-free products and connect with other celiac people. We’ll bring samples of our entire line of Glutenetto products. So please stop by our booth 105, say hello and have a cookie with us. Over the past few months, we’ve attended several gluten-free events and have made some great friends among the other exhibitors. We’re so impressed with the gluten-free community. Here are some folks who we think are doing gluten-free right. They share our dedication to making delicious products that you won’t believe are gluten-free. Give them a try! 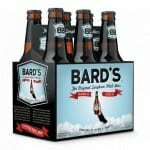 Bard’s is a great tasting craft bear that just happens to be gluten-free. It’s brewed 100% with malted sorghum and contains no wheat, barley, rye or oats. The brewers are two “ardent beer lovers” who were diagnosed celiacs and wanted to create a product that was as good as anything produced by traditional craft brewers. It’s a lighter beer with a great taste. 2Good2B has cafes in Encinitas and San Diego that serve 100% Gluten-free, Corn-free and Soy-free food. It was founded by Diana Benedek, who suffered from a variety of health challenges that cleared up when she stopped eating gluten, corn and soy. We got to know these folks at the Gluten-Free fest in San Diego and became big fans of their baguette, especially paired with hummus. Gluten-free cuisine delivered to your door (in California, Nevada, Utah and Arizona)! We met Executive Chef Ravi Harryram at the Gluten-Free fest in San Diego and enjoyed his delicious natural gluten-free lasagna (high praise coming from Italians!). After going gluten-free himself, this Chef from Trinidad and Tobago realized that gluten was in almost everything you use to cook including sauces, bases, seasonings, etc. The gluten-free foods that he found were flavorless, so he started working with marinades and rubs to correct the issue. Through research and practice, he was able to expand to dairy-free and soy-free options as well. MANINIS® GLUTEN FREE is a company whose products were developed by a mathematician mother and a chemical engineer father. Their mission: develop good tasting and nutritious rice-free, gluten-free whole grain products for their five-year old daughter diagnosed with celiac disease. They base their products on ancient grains and make bread mixes and pasta. This California-based company makes a delicious almond milk which goes great with our cookies! It’s all that Nonna drinks these days. We also enjoy their Double Espresso Iced Coffee. Both are dairy and soy free.